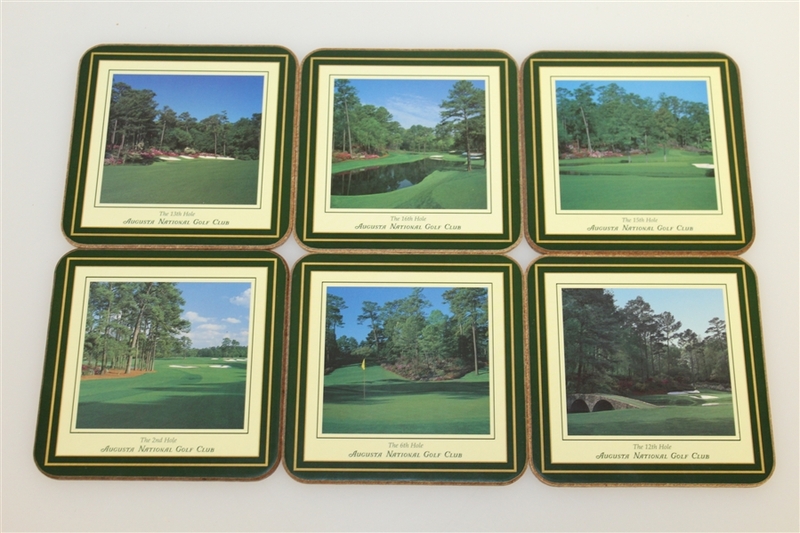 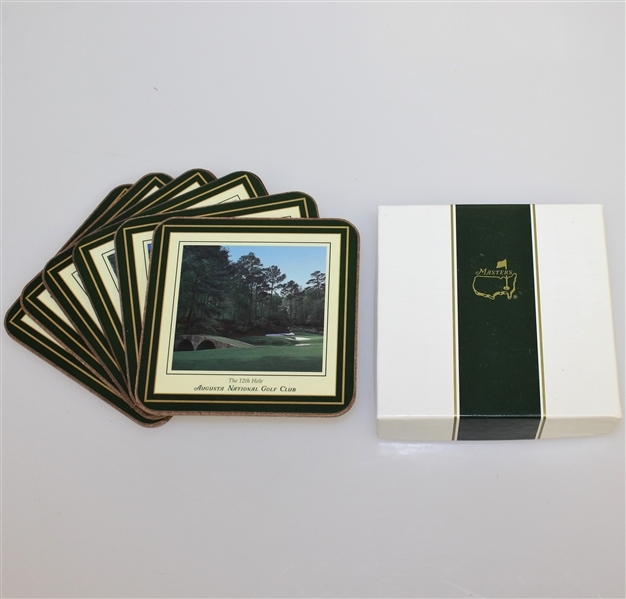 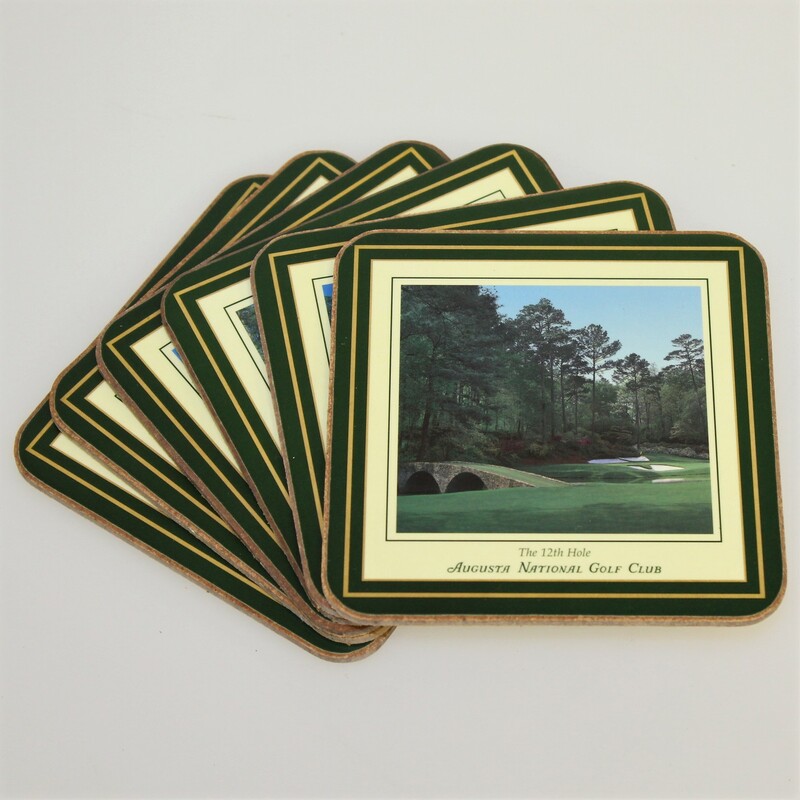 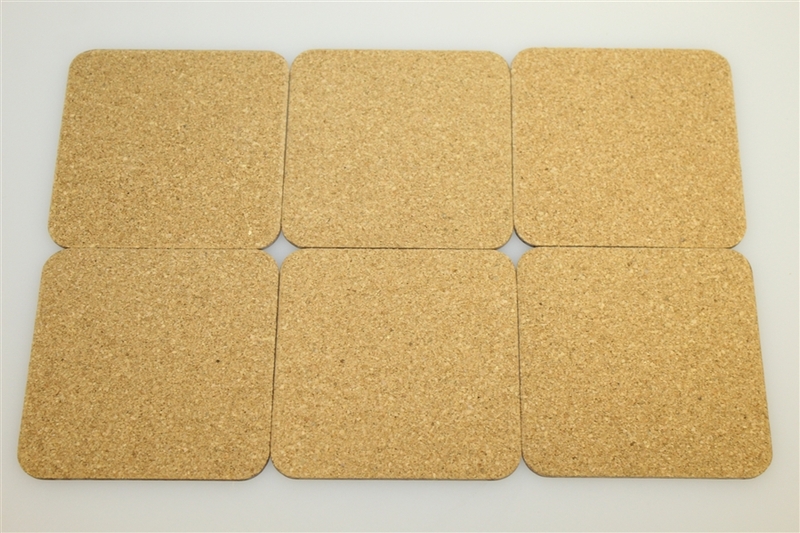 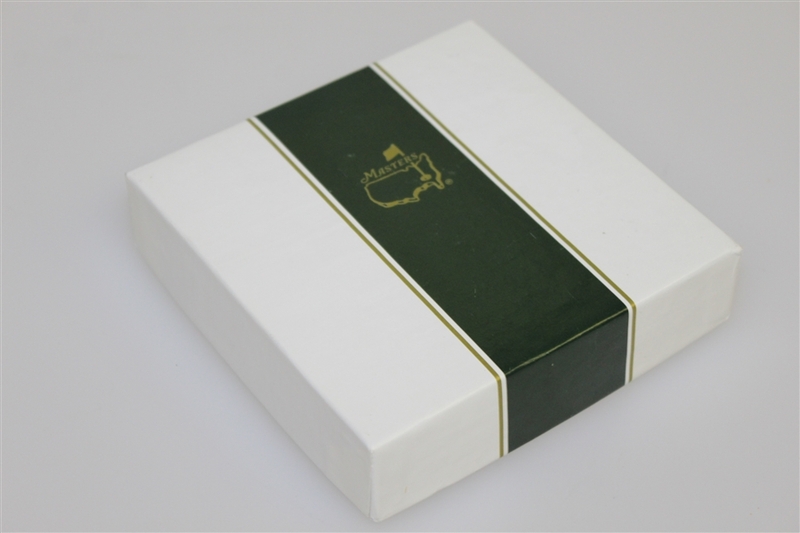 Offered here is a set of six Augusta National Golf Club coasters. 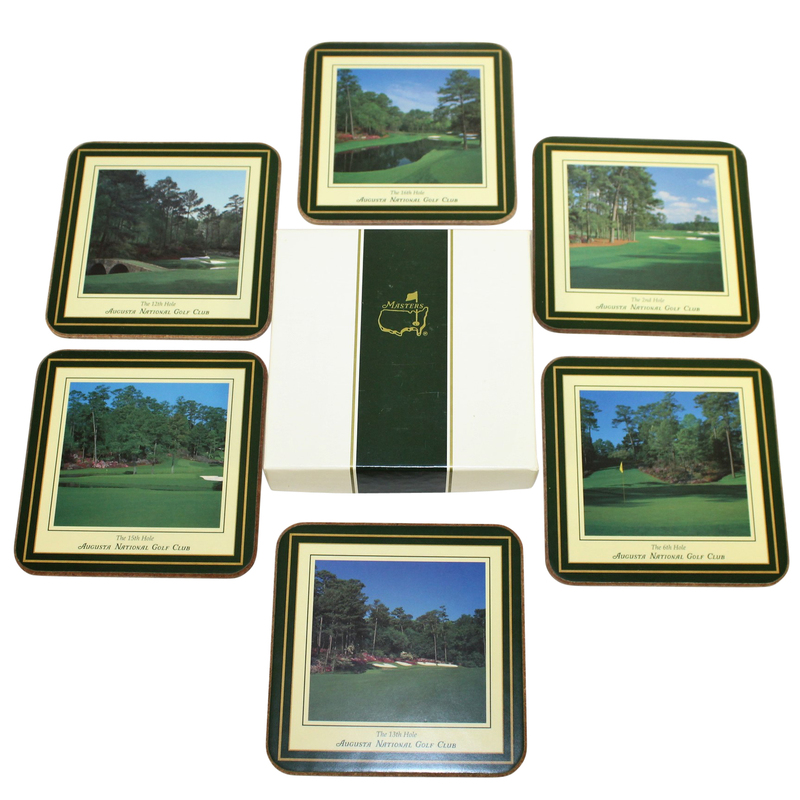 The original box is included and all are in great condition. 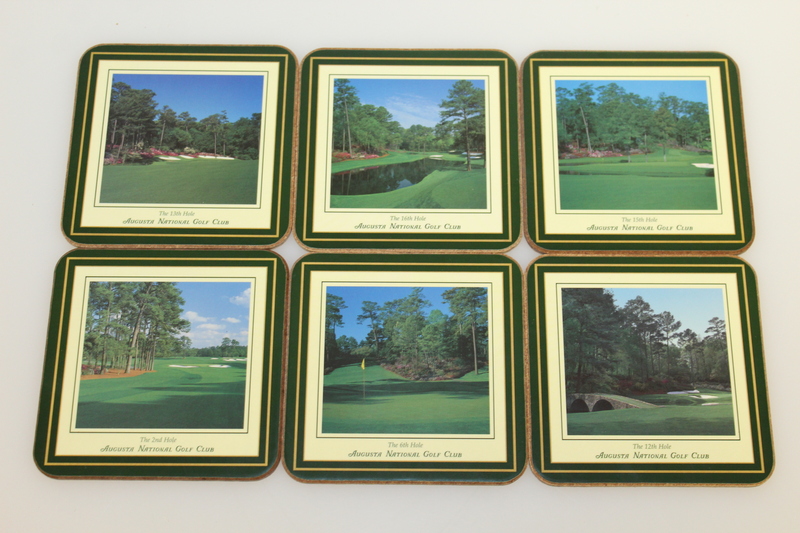 Each coaster shows a different hole at Augusta National, the home of the Masters Tournament every Spring.